One day after announcing the ouster of President Omar Hassan al-Bashir, the Sudanese military officials who have taken power said they had no intention of extraditing the deposed president, who is wanted by the International Criminal Court on charges including genocide and crimes against humanity, connected to atrocities in the Sudanese region of Darfur. 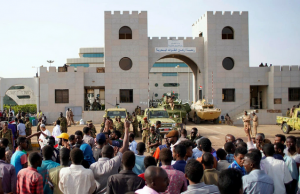 But he will be tried in Sudan, an army official said on Friday at a news conference in Khartoum, the capital, according to The Associated Press. If the media care so much about Presidential use of racist terms, why don't they do a deep dive into President Lyndon Johnson? The President is under an unrelenting attack for his use of words, such as 's---hole', he used in a private meeting describing parts of an unsatisfactory proposal put forth on immigration. This is understandable, given the unprecedented assault on this president from the left and the mainstream media, this President's tendency to say things that are inflammatory, open to erroneous interpretation and that challenge the boundaries of 'political correctness'. Could he, and should he, have used different words to describe his frustration given the glass bowl he is under? Of course. Will he? Of course, not. That's what you get when you want, and need, someone irreverent to the presiding cultural wave. Someone to speak hard truth, not cover truth with comfortable language. Were his comments of the type that are easily open to erroneous interpretation? Absolutely. So what did we really think he meant by such words as 's---hole'? Well, it is pretty clear he was not talking about the people of those countries since the words were used as descriptors of the countries. He clearly meant the disastrous governments / government models / tyrannical leaders that have led those countries into such a mess that their own citizens must flee as refugees. He is correct. His reaction to the proposal wa correct. All this fuss over the words he chose just serves his opposition (the Dems, the left and the mainstream media) to hide the truth and translate those words as 'racist', 'mean' and 'heartless' so the words can be the issue, not the bad immigration proposal. Why? Because that is the template his opposition has chosen to use against him. Shattering the 'political correctness' boundaries is always interesting when you observe the left's reaction. 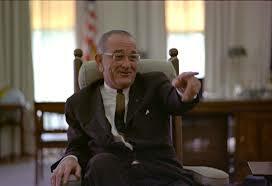 They are so appalled by the 'racist' nature of these words, yet when Democrat President Lyndon Johnson, who regularly used the 'N' word to describe black people, touting his underlying intentions for the "Great Society" programs, LBJ confided with two like-minded governors on Air Force One, “I'll have those 'n's' voting Democratic for the next 200 years.”. Why no over-hyped sensitivities to those comments? He was talking about using policy to enslave minorities. It's because these words serve the political and cultural purposes of the left and the media so they are not discussed, even mentioned and certainly not demonized (as they should be). Instead, the black people of the United States continue to vote Democrats and live on the Democrat plantation of generational poverty and political victimhood. Am I doing the same thing when I defend President Trump in his use of inflamatory words? No. Because he was not talking about the people. He was talking about the failed government's that generate the refugees America and other countries have to deal with. Johnson was talking about the people and how to use and abuse them! Continue to wish for a president who does not shoot himself in the foot so often, but don't be caught up in the biased media's use of these situations as misdirection plays. I'd rather have a guy who's words a rough and clumsy but tells the truth, than a Barack Obama who is smooth but deceitful and destructive. Can Infrastructure Investments Transform Sub-Saharan Africa's Economies?